This is a guest post from my friend George Pauls, a former resident of St. Jacques. George now resides in Halifax where his heart and mind frequently takes him back to the place where he grew up. I am pleased to be able to share George’s story of rounding up the sheep and ask anyone who has a story of St. Jacques to share, to send it to me at stjacquesblog@gmail.com I’ll make every effort to share them here. Rounding up the sheep that had been absent from the community since their last shearing earlier in the summer became an annual task for ten or twelve of us; or sometimes, perhaps one or two more, and possibly less, by the same margin. We would meet at some predetermined location as the fall of the year was approaching, and there, with ropes strapped over our windbreakers prepared to head for the hills in search of sheep “at large” or “on the loose”. That would be before the Bankers got back from their Greenland voyages, after which they would tie up for the winter. To look back on the excitement of corralling the animals into smaller and smaller enclosures before yanking them off on their homeward trot, recalls fond and gratifying memories that cannot be contained or even counted fully within a few or several lines of just a little script; even by someone such as myself who took part in the activity on one or two occasions, once I became adaptable to the roping and the sheepshank! 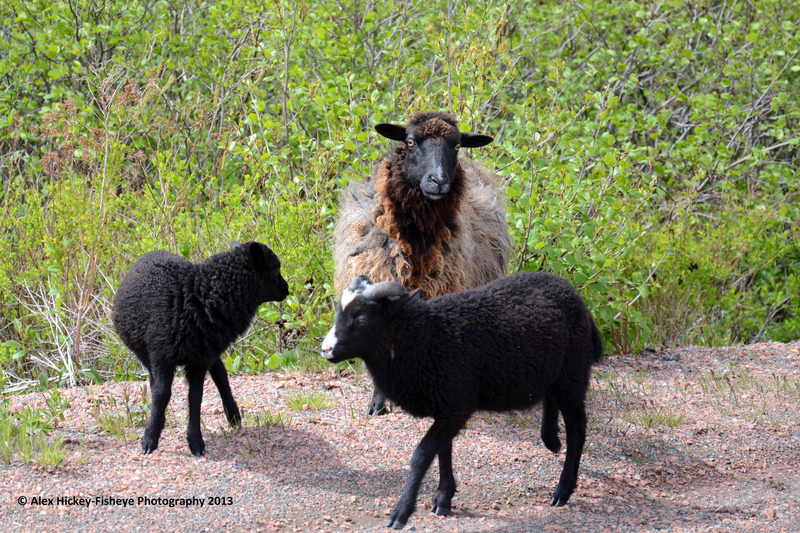 Our family did not own any sheep, but nevertheless, like other families, obtained wool mostly through the barter system. In every house it seemed there was a spinning wheel and the accompanying carders, etc. Hanks and hanks galore came off the backs of some of those beautiful chairs that adorned the scrumptiously clean little homes of those engaged in the home-spinning of such important fabrication. These woolen garments were so necessary to the success of the fishery. Once there was any sign of fall in the air the knitting needles and the skivers got busy under the most capable hands of the womenfolk, with young girls in full attention and assistance. Socks and mittens for the fishing fleet were the most produced items but then again, many heavy sweaters and even underwear came off their racks. All did not go to sea, but what did take to the water, especially the mittens, through the trashing and soaking in the salt water became waterproof, which with the shrinkage ended up being prized gauntlets when handed own to us for use in our snowball fights. The people who went after the sheep were mostly owners in part, of the different folds who had their sheep well-marked, mostly on the ears. There was never any dispute of ownership when we got the animals back to St. Jacques and impounded them in their proper pens where they were cared and provided for as winter set in. Of course, not all owners took part in the roundup because most had only a couple or so sheep to contend with in this regard and they quickly followed the main or larger part of those on the move without hesitation. The highlight of the move to capture lurking strays was the closing in on them. All hands joined hands in a semi-circle arrangement which would gradually interlock into a complete bond when applied as such and which always had the desired effect. The group carrying out the roundup and the getting home of the sheep being accounted for to an extent here, consisted mostly of older men (old to some of young gaffers) but they could run rings around us. Uncle Johnnie Young assumed, and was always regarded as being in charge. Jack Drakes and the Piercey’s were good runners; even though Jack tainted some areas with tobacco juice! The Noseworthy’s and the Dinham’s, as well as Tom Evans, all played their parts with gusto. The families of Tibbo’s, Skinners, Fiander’s, McCarthy’s and Whalen’s (Jerome and Patrick of the last mentioned name were particularly taken up with the breeding and care of a certain stock). There were others, and of course George Hickey and his father Alex Hickey, were both much committed (besides attending to their regular duties with the fisheries which entailed a commercial lobster processing operation) in the rearing, etc. of a small flock of sheep between them. Getting them home safe and sound with all the others before the snow fell was one of their priorities. In the meantime Mrs. Mary Madeline Hickey, Georges mother, who endorsed whatever was going on in her loyal and supportive fashion, began ‘fishing out’ the long needles, the skivers, as we called them, to once again take up the task, a pastime to her, of producing (knitting) besides other things, excellent sweaters and cardigans from her own home-spun wool; garments that stood out so magnificently in the classrooms of the St. Jacques Convent School Complex where they were much admired. In the end they’ve become just a memory – but what a memory; priceless! Not Just Any Old Sheep . . . Boon, Sonja. 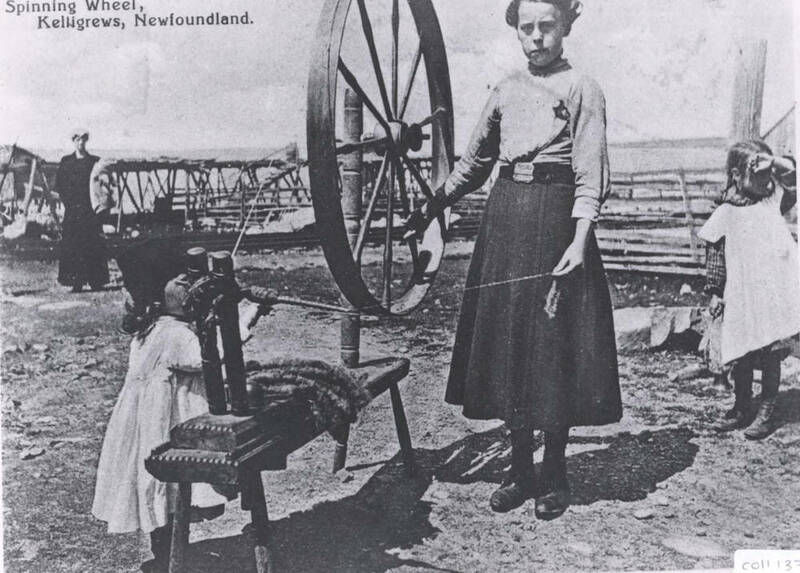 Just the kind of girl who would want a chap to be a man”: Constructions of Gender in the war stories of Tryphena Duley , Newfoundland and Labrador Studies, Volume 25, Number 1, Memorial University, 2010. Dale, Linda. A Woman’s Touch: Domestic Arrangements in the Rural Newfoundland Home, Material Culture Review, Volume 15, Summer 1982. 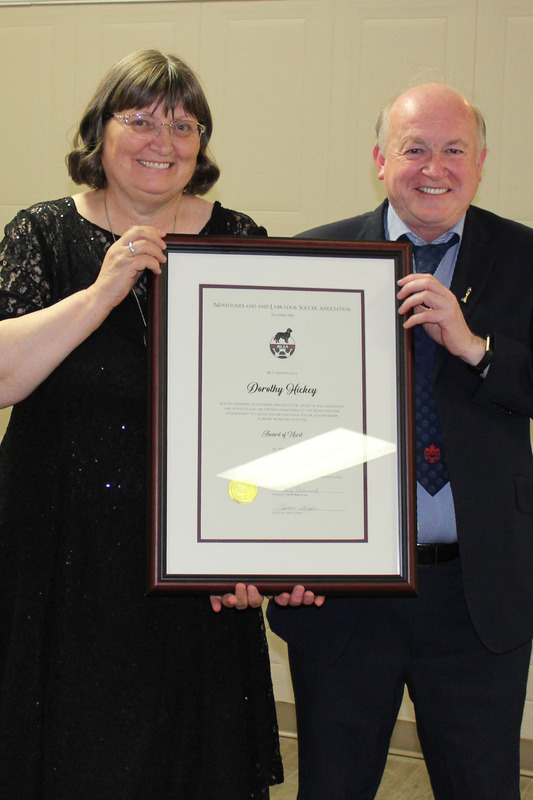 You talk about a Young, I have family from their with that name, as well as Noseworthy. I wonder if there is any realtion. My great grandmother was Ida Young married Walter Noseworthy from St. Jacques.